Corel GMS password breaker is designed to unlock the lost password and reset a new Macro password without any limitation on character length. The concern on security makes it necessary to protect the crucial data with a password. Moreover, most of the time it is quite difficult for users to hack the exact password for accessing their own files and they become hamper especially in case of macro files. So, users unable to open their important files. Hence, to solve such type of issues, CorelDraw GMS password cracker utility comes up to access the VBA Macro for Corel GMS. Users can break and reset the forgotten Corel macro password successfully from protected file within a few clicks. The software is designed in such a way so that users can retrieve a password from Corel GMS file in an efficient manner. CorelDraw GMS password remover software has the potential that can remove password of any character length in just a few minutes. The password composed of any length whatsoever can be recovered easily. After cracking the older password of Corel VBA macro file, this tool also creates a new password automatically. Hence, the new software-generated password can be easily changed by users later as per their choice. CorelDraw GMS password breaker utility is programmed to unlock password protected .gms file. This feature allows users to retrieve strong password of alphabets, digits, special symbols, or a combination of three types of character. Once the password cracking process is done, the software will shows the entire recovery details. It includes the overall procedure processed by the tool to remove the previous password and then set a new CorelDraw GMS password. GMS password recovery software is compatible with all CorelDraw Graphics Suite editions successfully. Even users can reset a VBA macro password from the GMS file of CorelDraw X7, X6, X5, X4, and including all below versions. Users can use the demo version of this product, but this edition comes with some constraints. With this version, complete password resetting cannot be possible. Furthermore, when creating a new password users can only view the first two characters of the GMS password. 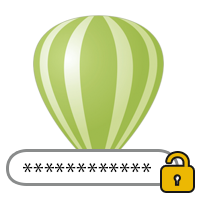 With the licensed version of the utility, users enable to view the complete password easily. This full edition can be purchased with small amount and after this, users can use this application without any limitation. Using CorelDraw GMS password remover, Can I get the old password of VBA macro file? No, you will not get the old password by using this tool, but you can reset the old password with a new one. Does our software compatible with the Windows 8 Operating system? Yes, the software is developed in such a way that it supports all the versions of Windows OS including Win-8. Is it possible for the software to bypass the password of Corel X7 macro file? Yes, Corel GMS password cracker is capable to recover the password of Corel X7 macro file as well as other older versions of CorelDraw Graphics Suite. How to get a new password after resetting old the GMS password? Once the GMS password resetting has been executed, the newly generated password is viewed on the software panel. CorelDraw GMS password recovery tool is an efficient and trustworthy software. It really helped me to unlock password protected Corel VBA macro file instantly. I would like to suggest this outstanding utility to everyone. Really this is highly valuable and easy-to-use solution. Thanks for a trouble-free solution. I was too worried as my essential files were not opened. The reason being, that I had forgotten the password of my macro file. I tried multiple solution to break CorelDraw GMS password but I was failed to access it. Then, gratefully I came across this advance tool and it took no so much time to unlock all required files. Must say, I am totally satisfied with this effective and flexible software. 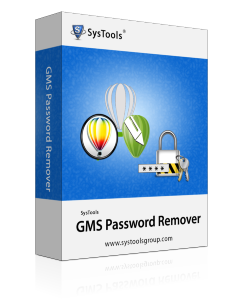 This CorelDraw GMS password remover tool has made tasks so much easier. Earlier it seems to be impossible for me to crack Corel VBA password but thankfully I got this wonderful tool. I used the software and easily reset the password easily. This is very simple, easy, good performance and well-designed too. The best thing I really liked about this application is that it supports all versions of CorelDraw graphic Suite. One of my friend recommended this software to me and I have also used it to bypass the GMS password. It is a great tool and wants to thank to the developers’ team for creating an all-in-one tool. Great Work! !